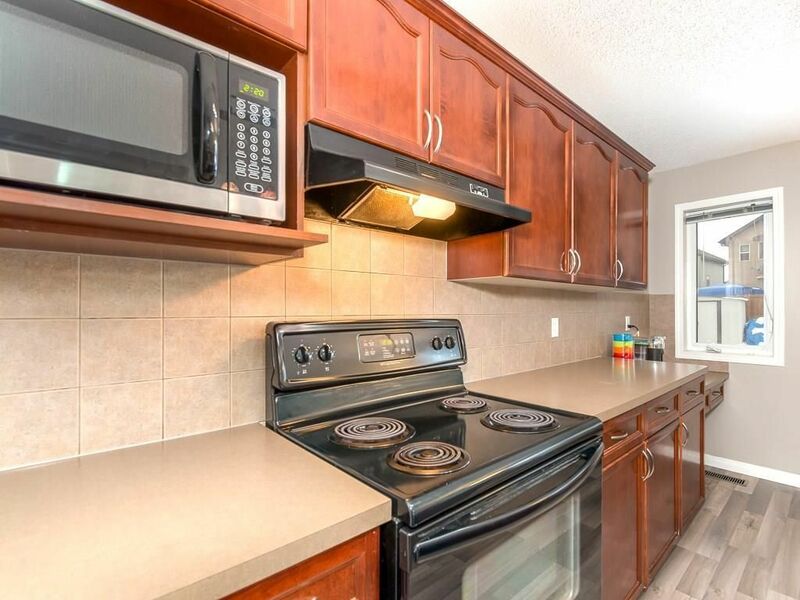 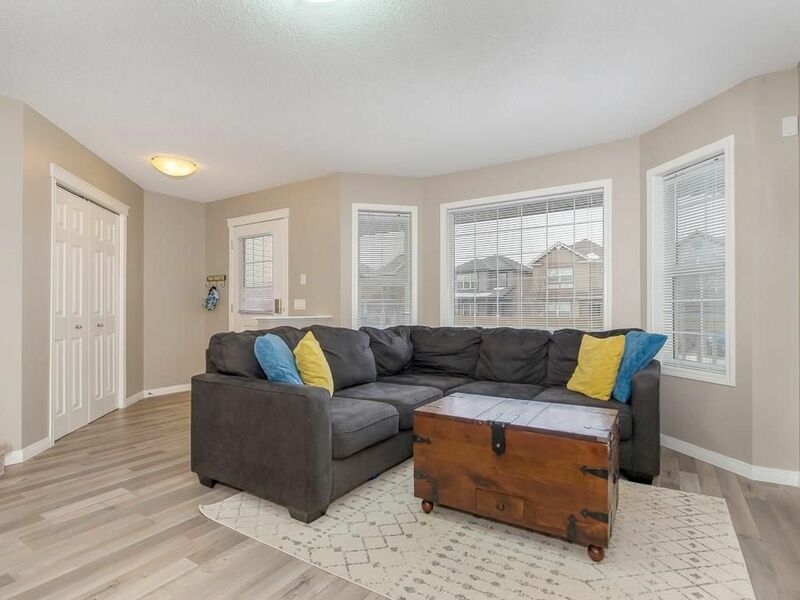 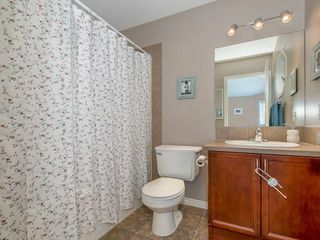 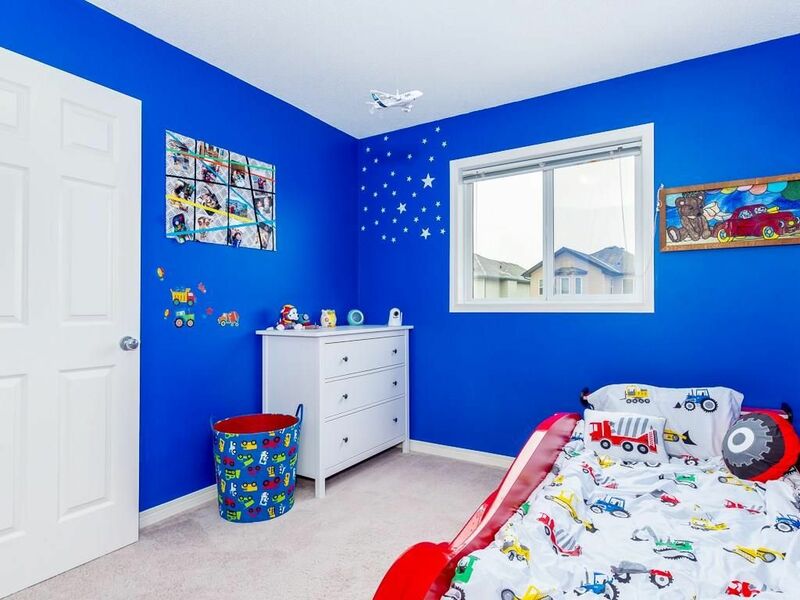 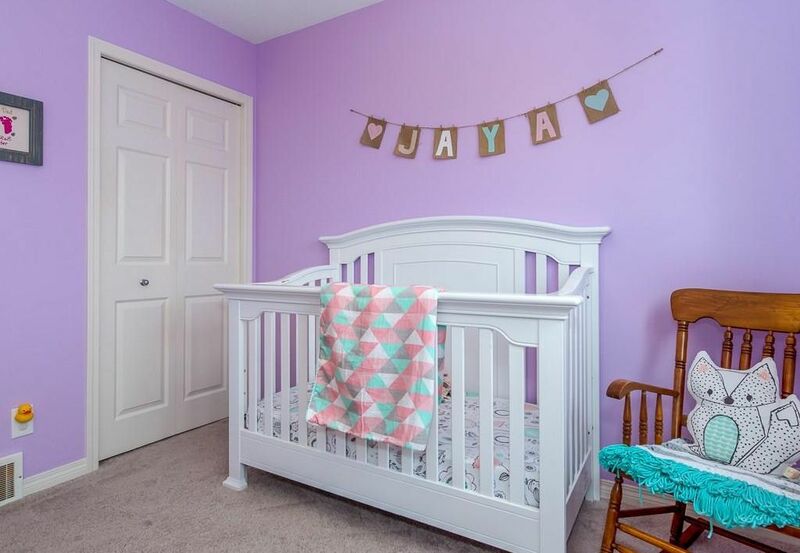 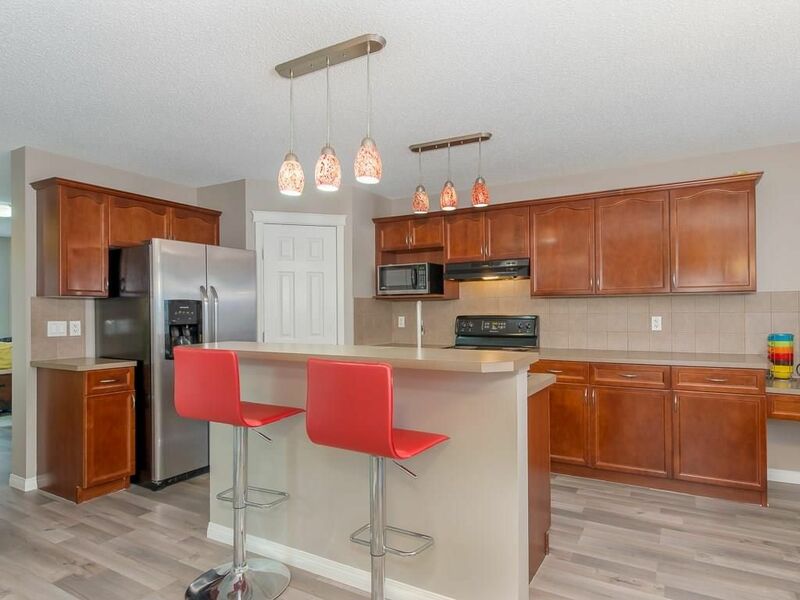 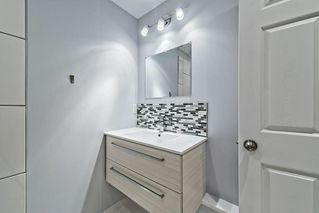 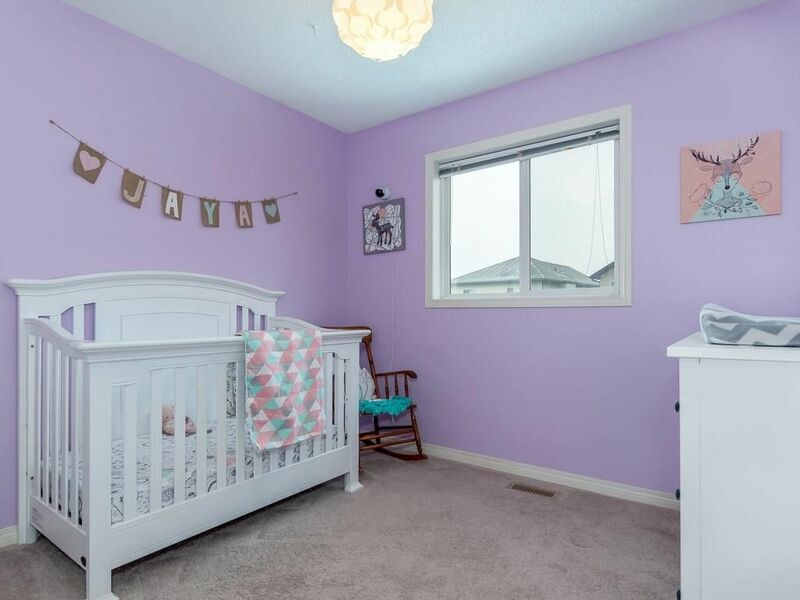 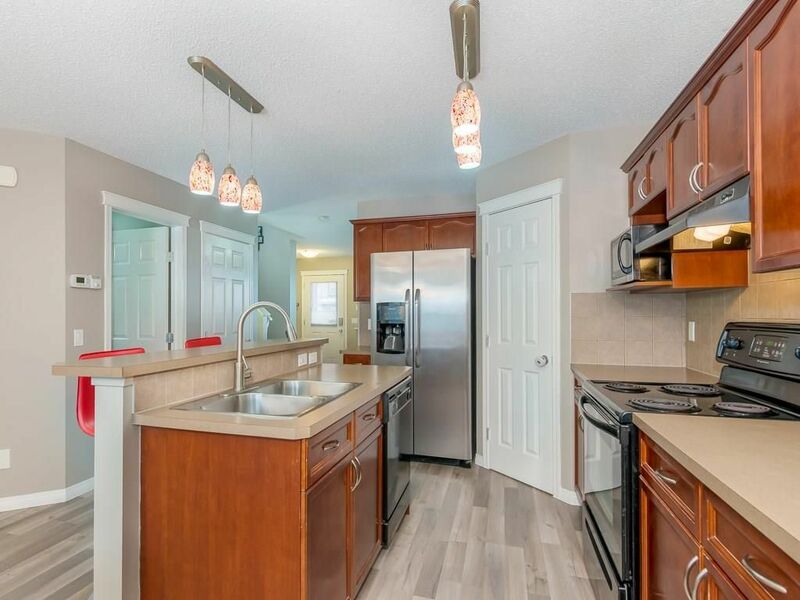 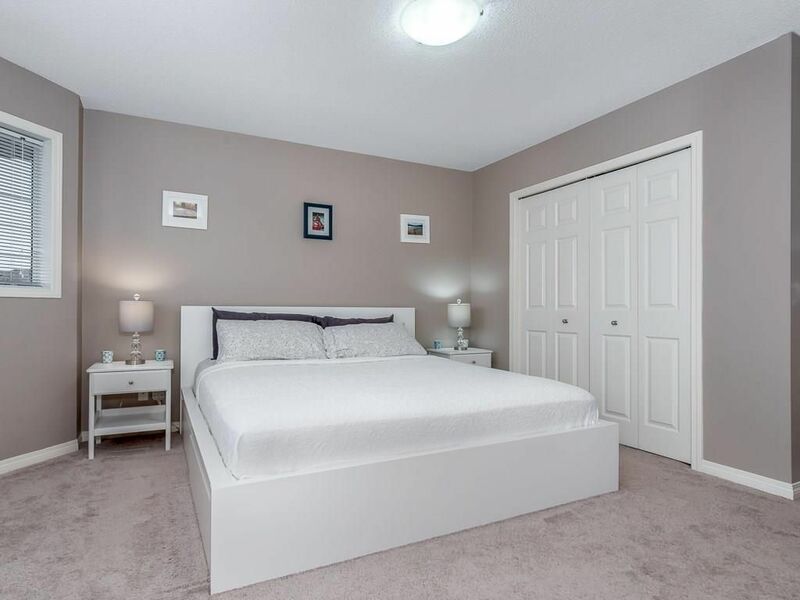 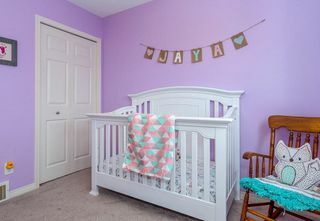 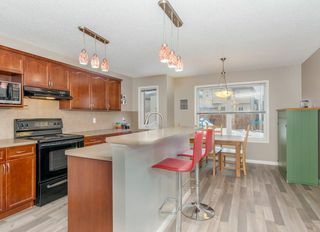 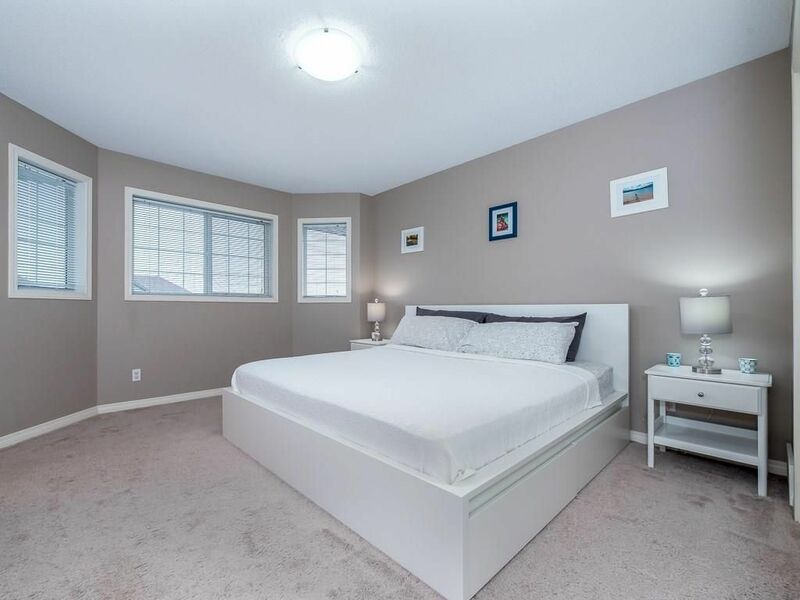 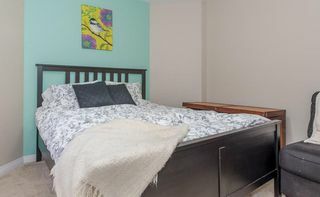 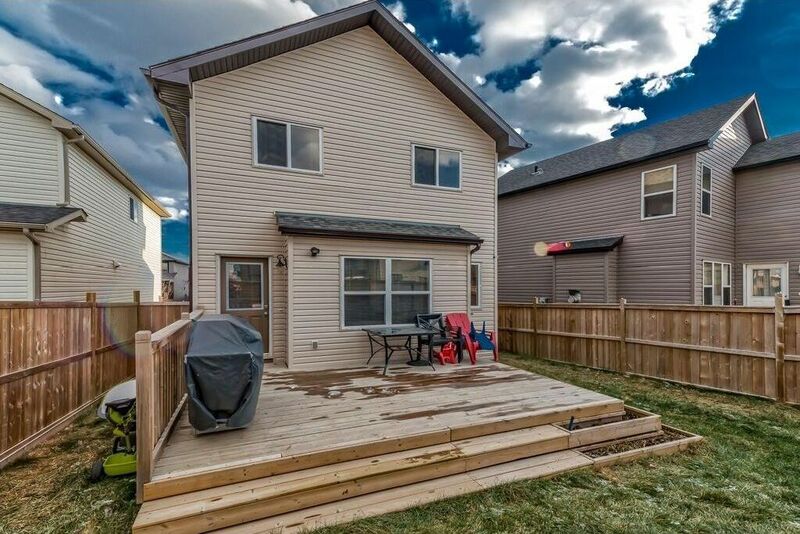 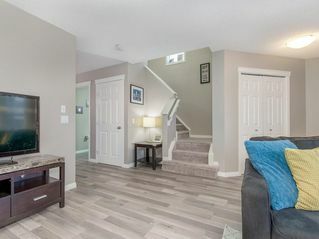 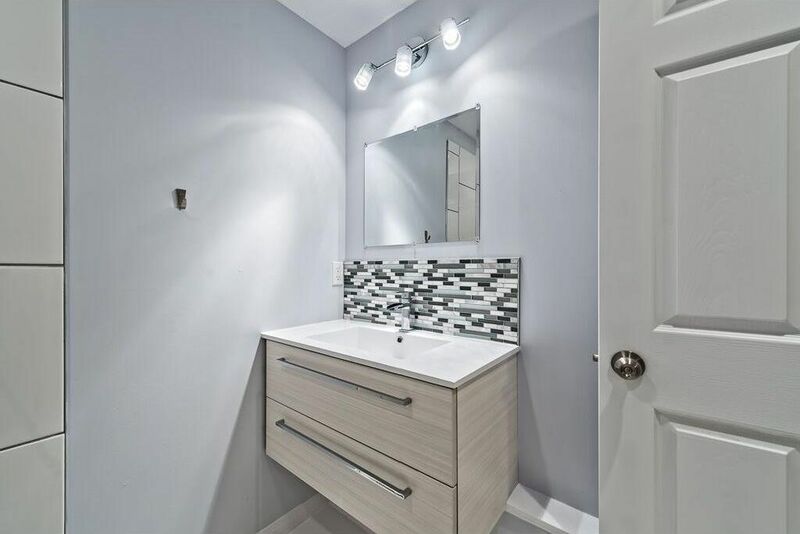 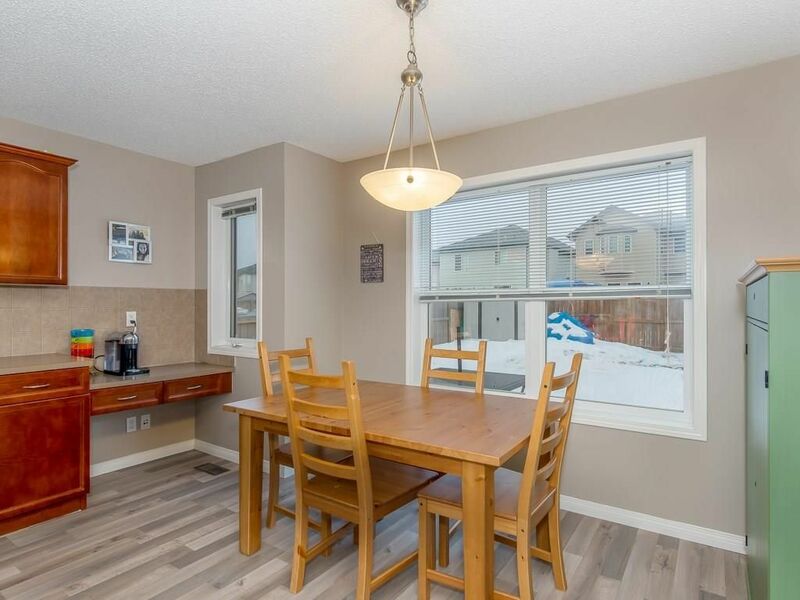 Stunning upgraded two storey home with fully finished basement on a quiet family friendly street just minutes from schools, transit and amenities. 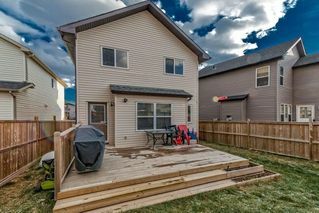 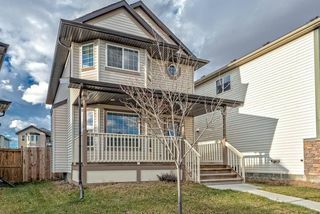 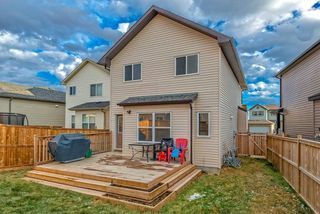 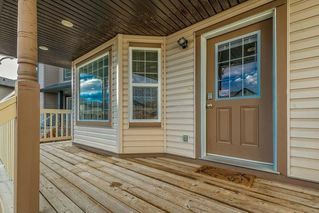 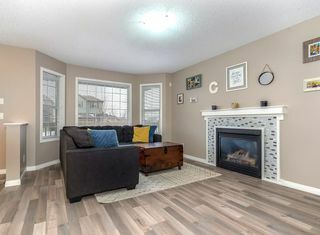 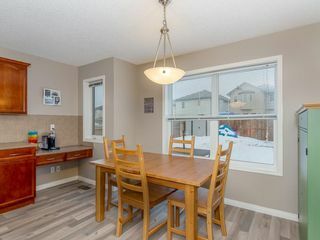 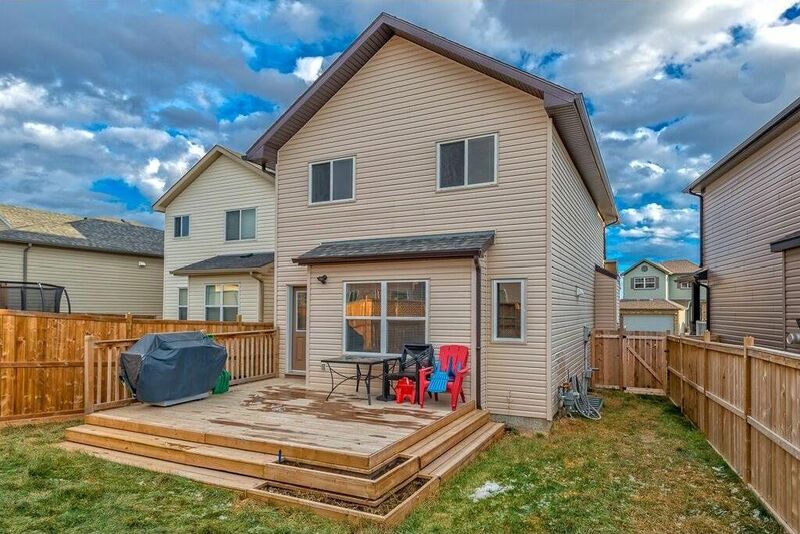 Front covered porch preludes open concept main floor with large front living room accented by a bay window and tile trimmed gas fireplace. 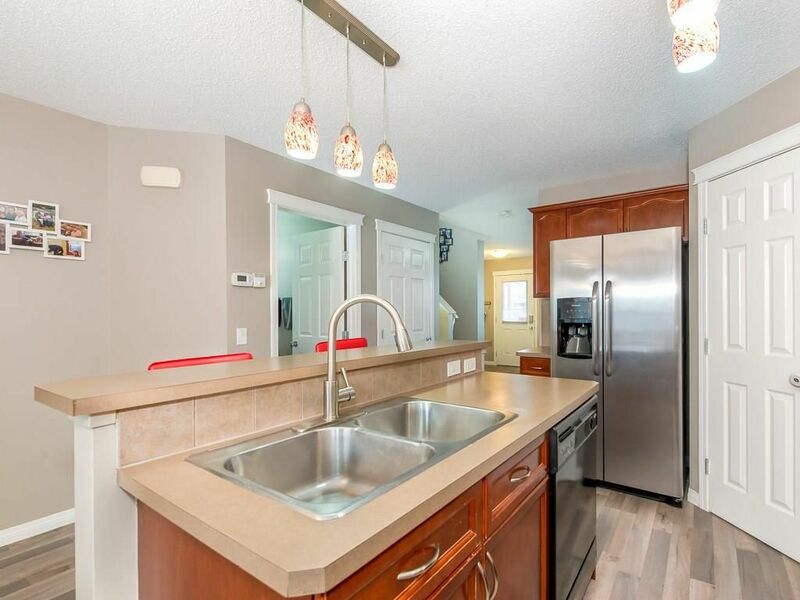 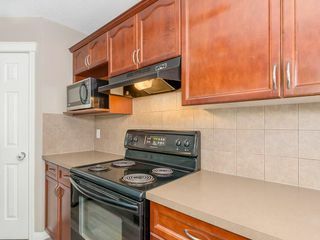 Spacious kitchen boasts loads of cabinets, corner pantry, island with sink and raised eating bar and breakfast nook. Rear door leads out onto the deck which looks out onto the large landscaped and fenced rear yard. 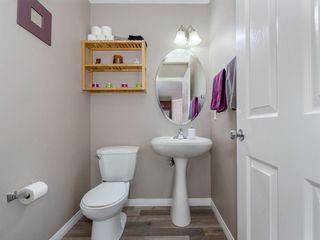 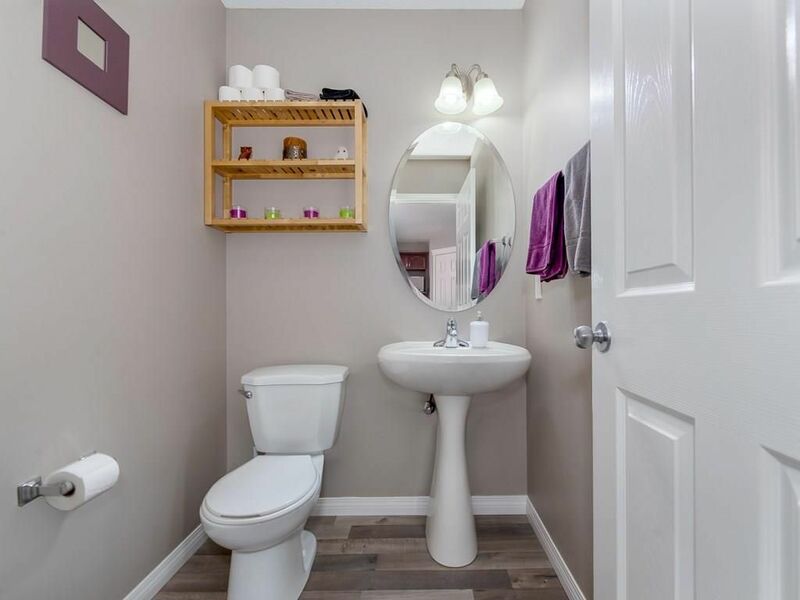 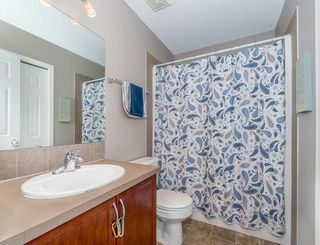 Upper level showcases three bedrooms and main four-piece bathroom. 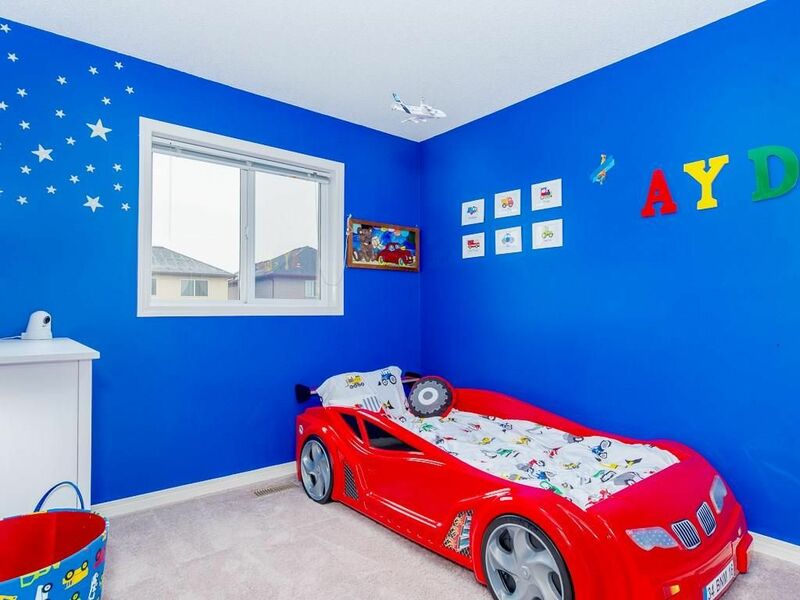 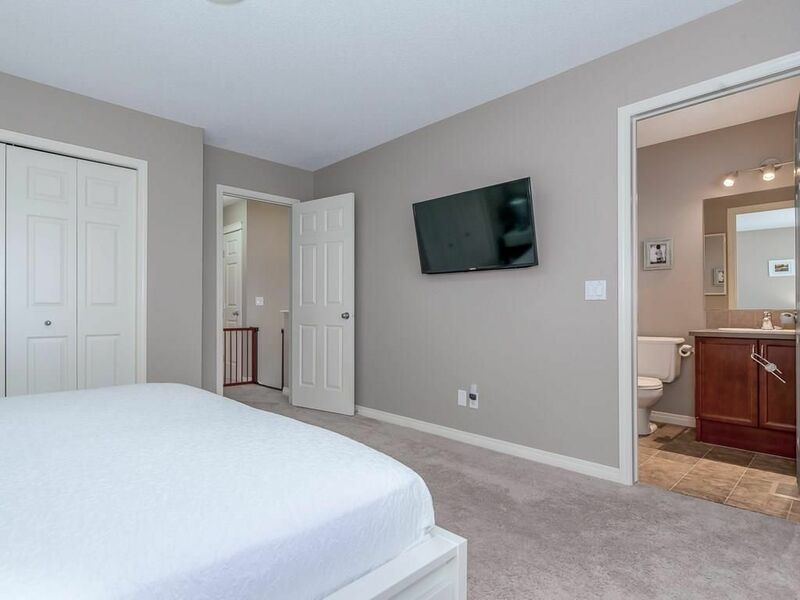 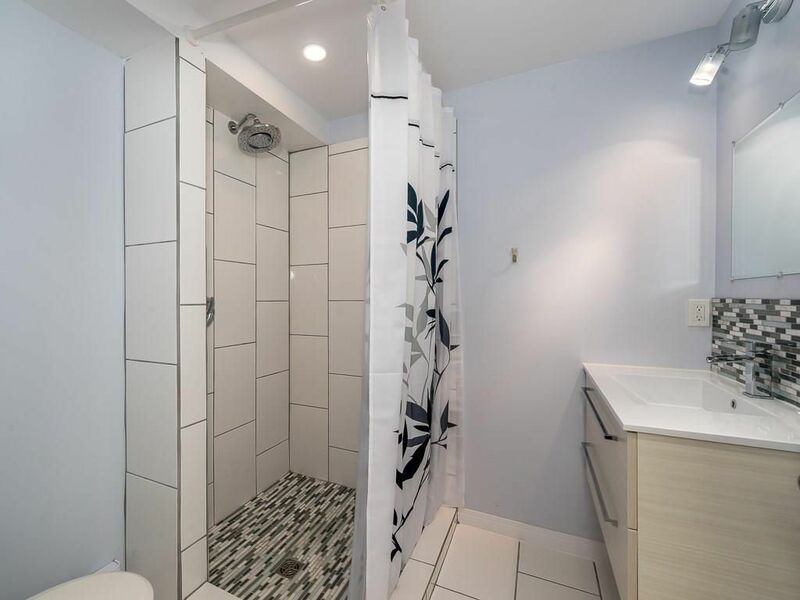 Huge master bedroom has four-piece ensuite. 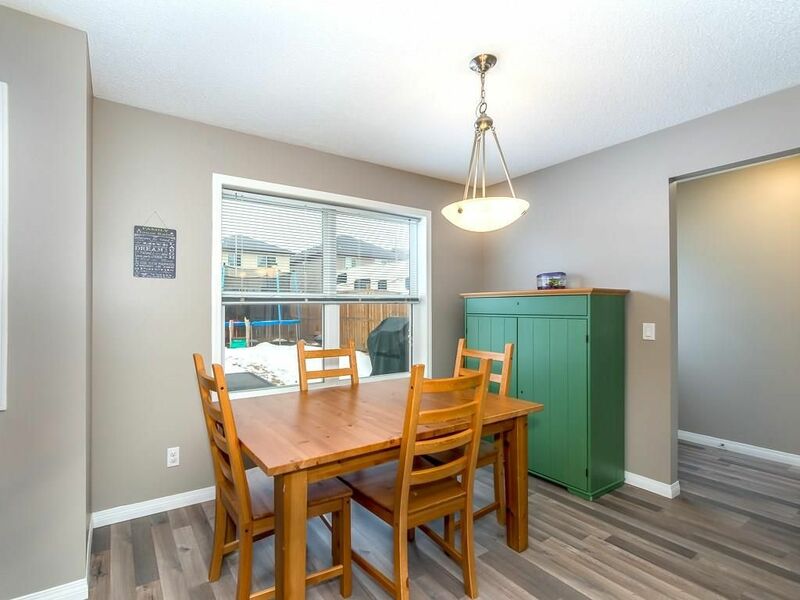 Loads of windows allow for tons of natural light throughout the home. 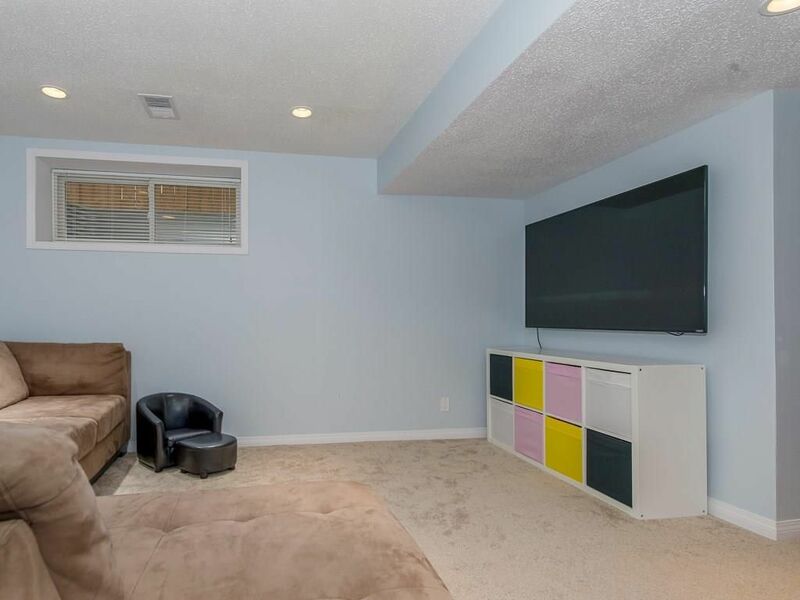 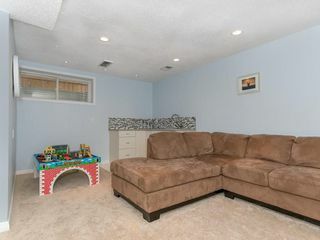 Fully finished basement includes a rec room with wet bar, office and three-piece bathroom. Modern colors throughout and newer laminate flooring on the main floor. 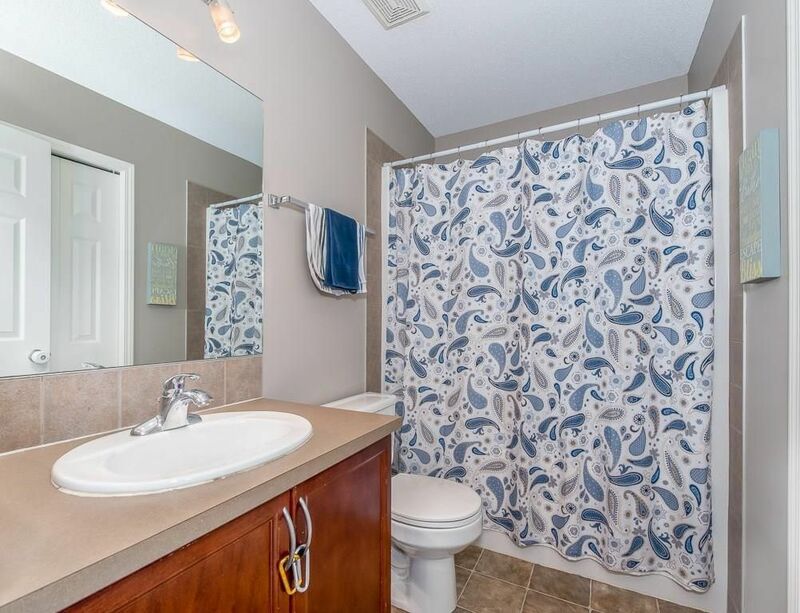 A stunning home in spotless move in ready condition, view it today! 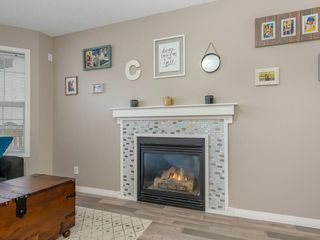 Tile trimmed gas fireplace in living room. Kitchen with loads of cabinets. Kitchen with large island having raised eating bar. 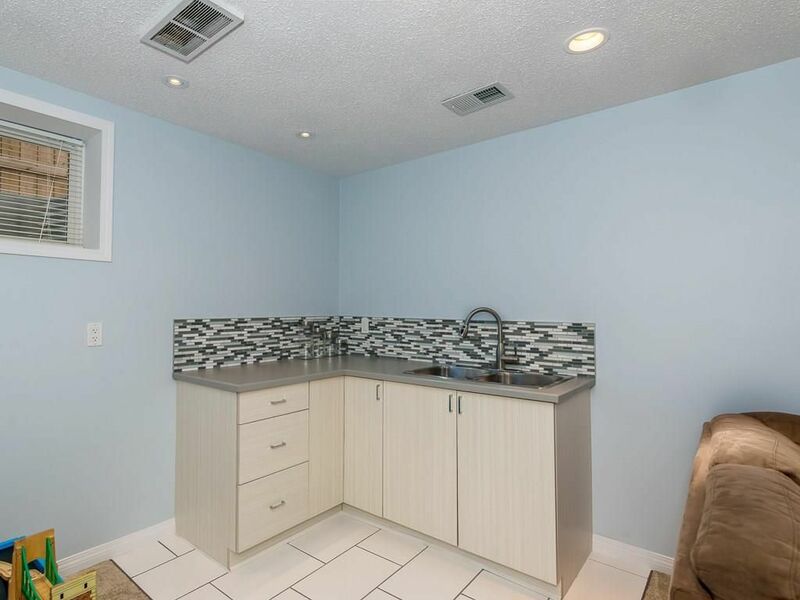 Wet bar in lower rec room. Lower room ideal for den or home office.